I don't show too many tabletop miniatures on this page, so you'd better pay attention when I do. Its gonna be good: Nazis on Dinosaurs! 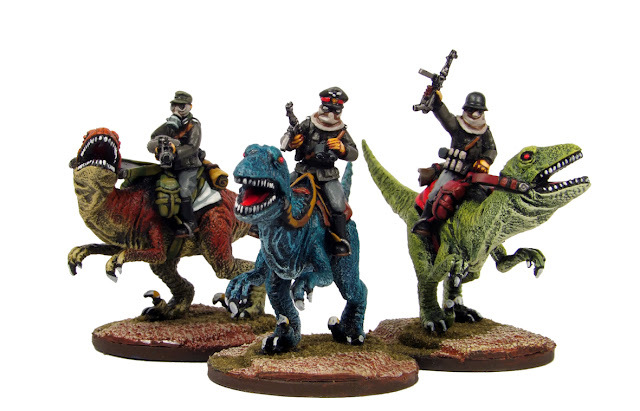 Check out the full line of Jurassic Reich figures.